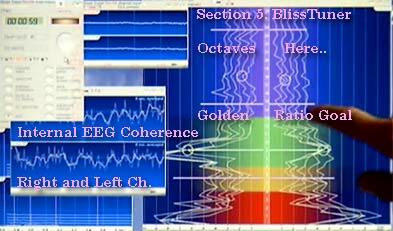 AND- 2 Persons Can EACH See BOTH HEMISPHERES of their EEG- Brainwaves- for Meditation Training - BlissTuner- TOGETHER! AND Less than HALF THE PRICE! 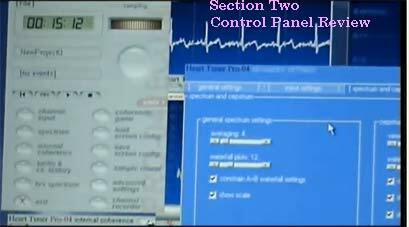 Optional Sensors for Galvanic Skin Response, Skin Temperature, and Blood Volume Pulse- are preconfigured in the software. 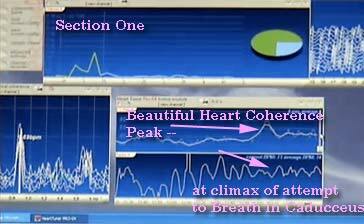 Section One 1-19min. 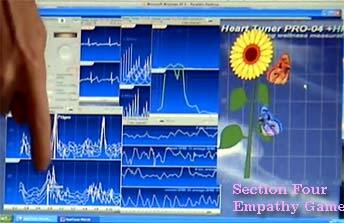 - HeartTuner setup - then Practicing Interpreting Heart Harmonics- Climax: Caduceus Breath produces REAL Heart Coherence! Section Three 29-50 min. 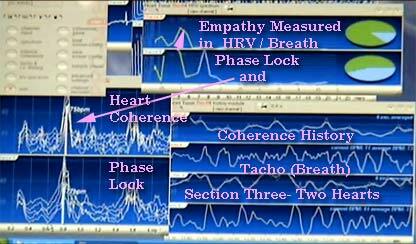 - Connecting 2 Hearts, Interpreting, using the HRV and Measuring Empathy 2 ways. Summary + Conclusions - 75-78 Min. Section Six 78-88 min. 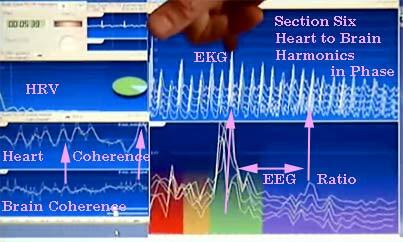 - One More Thing: Measuring the Heart-Brain Connection - EKG to EEG phase lock in Harmonics + Coherence.